Interconnective Security Products have announced exciting new developments to the Partner Tuff, their cloud based patrol management system. 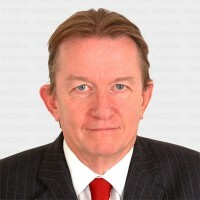 Interconnective continually seeks to improve the offering they provide to their customers. 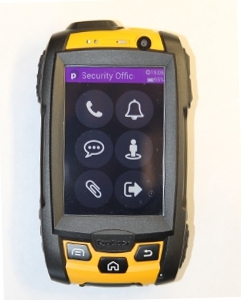 The latest development enhances the functionality of the device and improves the level of safety available to frontline security personnel as they carry out their duties. All updates to the Partner Tuff application are now automatically installed to ensure continuity to the service provided. Bobby Logue, Managing Director of Interconnective Security Products, said: “We are pleased to announce the newest set of features for the Partner Tuff application and server. Interconnective seriously considers all of the feedback we receive from our customers and, in turn, use it to improve the service we offer to them. In November of last year set out a Development Roadmap for 2016 which we are currently in line with. I believe that the roadmap we have will see the Partner Tuff become the market-leading product by the end of the year”. Patrol Tasks – Patrol tasks have been developed a great deal further. One-time-tasks can be assigned to a patrol, to a handset, to a patrolling officer or to a single checkpoint. These one-time-tasks are removed as soon as they are completed by any patrolling officer. One-time-tasks are set with a start date and deadline date and will only be displayed on pre-configured days. Using push notifications from the server, handsets are notified through the application when tasks are pending. Interconnective now provides a personalised web space to allow details of updates to be automatically supplied to their customers upon release. Customers can also log-in to this designated web space to view a list of all previous updates.